Where did the Grand Canyon go? The geology of Southern California can be a bit, er, complex… There is a subducted spreading zone (that starts as a Pacific floor spreading area) and then some of it gets sucked under the North American plate. This “has issues” like spreading out the Basin and Range area a bit and making Utah and Nevada larger… as they sink a little. But a lot of it goes into “other places”. For example, Death Valley. It is below sea level as it is being slowly pulled open into a rift in the continent. How much of a rift? The passive margin switched to active margin in the early-to-mid Mesozoic when the Farallon Plate under the Pacific Ocean started to dive below the North American Plate, creating a subduction zone; volcanoes and uplifting mountains were created as a result. Erosion over many millions of years created a relatively featureless plain. 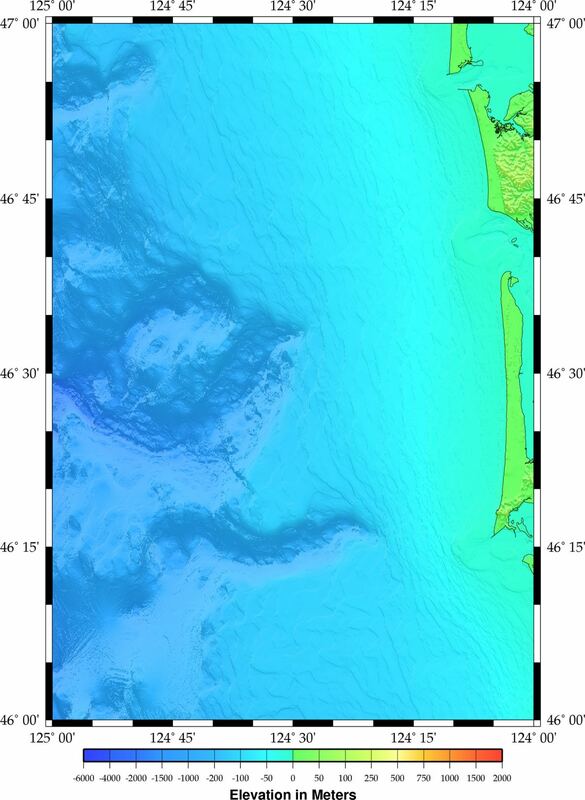 Stretching of the crust under western North America started around 16 Ma and is thought to be caused by upwelling from the subducted spreading-zone of the Farallon Plate. This process continues into the present and is thought to be responsible for creating the Basin and Range province. By 2 to 3 million years ago this province had spread to the Death Valley area, ripping it apart and creating Death Valley, Panamint Valley and surrounding ranges. These valleys partially filled with sediment and, during colder periods during the current ice age, with lakes. Lake Manly was the largest of these lakes; it filled Death Valley during each glacial period from 240,000 years ago to 10,000 years ago. By 10,500 years ago these lakes were increasingly cut off from glacial melt from the Sierra Nevada, starving them of water and concentrating salts and minerals. The desert environment seen today developed after these lakes dried up. Starting around 16 Ma in Miocene time and continuing into the present, a large part of the North American Plate in the region has been under extension by literally being pulled apart. Debate still surrounds the cause of this crustal stretching, but an increasingly popular idea among geologists called the slab gap hypothesis states that the spreading zone of the subducted Farallon Plate is pushing the continent apart. Whatever the cause, the result has been the creation of a large and still-growing region of relatively thin crust; the region grew an average of 1 inch (2.5 cm) per year initially and then slowed to 0.3 inches (0.76 cm) per year in the last 5 million years. Geologists call this region the Basin and Range Province. Extensional forces causes rock at depth to stretch like silly putty and rock closer to the surface to break along normal faults into downfallen basins called grabens; small mountain ranges known as horsts run parallel to each other on either side of the graben. Normally the number of horsts and grabens is limited, but in the Basin and Range region there are dozens of horst/graben structures, each roughly north-south trending. A succession of these extend from immediately east of the Sierra Nevada, through almost all of Nevada, and into western Utah and southern Idaho. The crust in the Death Valley region between Lake Mead and the southern Sierra Nevada has been extended by as much as 150 miles (240 km). These two systems are also offset from each other; the area between the offset is thus put under enormous oblique tension, which intensifies subsidence there; Furnace Creek Basin opened in this area and the rest of Death Valley followed in stages. One of the last stages was the formation of Badwater Basin, which occurred by about 4 Ma. Data from gravimeters show that Death Valley’s bedrock floor tilts down toward the east and is deepest under Badwater Basin; there is 9,000 feet (2,700 m) of fill under Badwater. So, does this not mean there ought to be some kind of “magma” issue from time to time? Igneous activity associated with the extension occurred from 12 to 4 Ma. Both intrusive (plutonic/solidified underground) and extrusive (volcanic/solidified above ground) igneous rocks were created. Basaltic magma followed fault lines to the surface and erupted as cinder cones and lava flows. Some volcanic rocks were re-worked by hydrothermal systems to form colorful rocks and concentrated mineral formations, such as boron-rich minerals like borax; a Pliocene-aged example is the 4,000-foot (1,200 m)-thick Artist Drive Formation. Gold and silver ores were also concentrated by mineralizing fluids from igneous intrusions. Other times, heat from magma migrating close to the surface would superheat overlaying groundwater until it exploded, not unlike an exploding pressure-cooker, creating blowout craters and tuff rings. One example of such a feature is the roughly 2000 year old and 800 feet (240 m) deep Ubehebe Crater (photo) in the northern part of the park; nearby smaller craters may be less than 200 to 300 years old. OK, so we had active volcanic activity 4 Million years ago, and some smaller hydrothermal blowouts as recently as a few hundred years ago. Sediment filled the subsiding Furnace Creek Basin as the area was pulled apart by Basin and Range extension. The resulting 7,000-foot (2,100 m)-thick Furnace Creek Formation is made of lakebed sediments that consist of saline muds, gravels from nearby mountains and ash from the then-active Black Mountain volcanic field. Additional subsidence of the Furnace Creek Basin was filled by the four-million-year-old Funeral Formation, which consists of 2,000 feet (610 m) of conglomerates, sand, mud and volcanic material. Another smaller basin to the south was filled by the Copper Canyon Formation around the same time. So we stacked up 7000 feet of “stuff” early on, then up to about 4 My have added 2000 feet more as the place continues to subside. This is starting to sound like an ongoing issue… But during the glacials, it even has a lake on top, for even more “coverage”. OK, so we’ve got 9000 foot of sediments, 100 of it accumulating during the Holocene, the valley floor is still below sea level, and it used to have an additional 585 feet of water on top. That’s a big, deep area that is spreading and opening in the continent. At the bottom, Badwater Basin is 282 feet below sea level. In 2005, Death Valley received four times its average annual rainfall of 1.5 inches (38 mm). As it has done before for hundreds of years, the lowest spot in the valley filled with a wide, shallow lake, but the extreme heat and aridity immediately began sucking the ephemeral lake dry. This pair of images from NASA’s Landsat 5 satellite documents the short history of Death Valley’s Lake Badwater: formed in February 2005 (top) and long gone by February 2007 (bottom). In 2005, a big pool of greenish water stretched most of the way across the valley floor. By May 2005 the valley floor had resumed its more familiar role as Badwater Basin, a salt-coated salt flats. In time, this freshly dissolved and recrystallized salt will darken. But back at what this means for The Grand Canyon. We know that the Grand Canyon formed when that plateau was uplifted. So we’ve got this giant hole in the ground that is hundreds of miles long and over a mile deep. Yes, the Colorado River washed it all away, but that’s a lot of washing. And while 17 million years is a very long time for a person, it’s not nearly so long for a geologic process. (And some earlier dating put it at more like 6 to 8 million years). But it all went down the river. So we’d expect to see a giant mountain of sand somewhere. Hundreds of cubic miles of the stuff. Where the Colorado River meets the sea is in the Gulf of California in Mexico. Now, by the time it gets there, it is essentially all used up. We have diverted substantially all of it to agriculture and domestic uses in all the various states along the path and even a little in Mexico. In prior times, great floods would wash sediments down the Colorado. Now they get dumped in Lake Mead behind Hoover Dam. But that lake did not exist in prior times. So where did the sand go? Liam Gumley, Space Science and Engineering Center, University of Wisconsin-Madison.” So, credit given. Now run your eye from the Gulf of California in the lower right up toward the upper left, notice all that greenish fan area? (Not the one in the water, the one on land…) That’s the farm land being watered where the Colorado River runs into Baja. Off to the upper right is where the Colorado runs back into the rest of the country. If you continue up toward the middle of the picture, above the fan, you find a lake. That is the Salton Sea. It, too, is below sea level. 69 meters or 226 feet below sea level. The creation of the Salton Sea of today started in 1905, when heavy rainfall and snowmelt caused the Colorado River to swell, overrunning a set of headgates for the Alamo Canal. The resulting flood poured down the canal and breached an Imperial Valley dike, eroding two watercourses, the New River in the west, and the Alamo River in the east, each about 60 miles (97 km) long. Over a period of approximately two years these two newly created rivers sporadically carried the entire volume of the Colorado River into the Salton Sink. The Southern Pacific Railroad attempted to stop the flooding by dumping earth into the canal’s headgates area, but the effort was not fast enough, and as the river eroded deeper and deeper into the dry desert sand of the Imperial Valley, a massive waterfall was created that started to cut rapidly upstream along the path of the Alamo Canal that now was occupied by the Colorado. This waterfall was initially 15 feet (4.6 m) high but grew to a height of 80 feet (24 m) before the flow through the breach was finally stopped. It was originally feared that the waterfall would recede upstream to the true main path of the Colorado, attaining a height of up to 100 to 300 feet (30 to 91 m), from where it would be practically impossible to fix the problem. As the basin filled, the town of Salton, a Southern Pacific Railroad siding and Torres-Martinez Indian land were submerged. 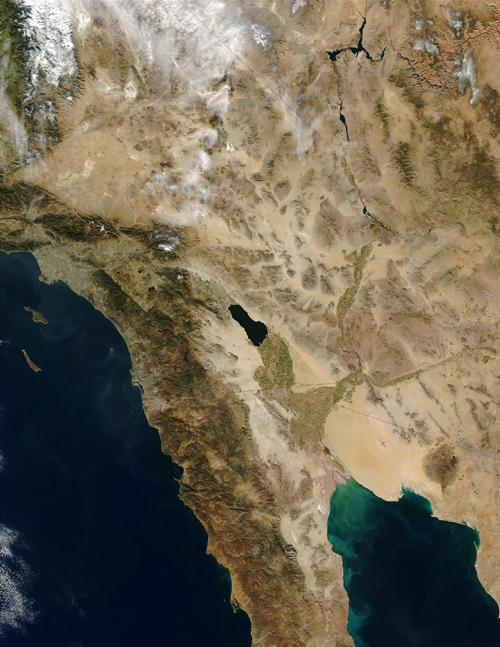 The sudden influx of water and the lack of any drainage from the basin resulted in the formation of the Salton Sea. Now, can you imagine being the guy who has to call up the boss and tell him you have managed to make a little break in a river bank and, well, you are now flooding Southern California and that the Colorado River no longer flows to Mexico? Oh, and you’ve made this tiny little waterfall of 80 feet high that might grow to 300 feet is something isn’t done; but don’t worry, over 226 feet of it is due to being below sea level… Oh, and you’ve submerged a town and an Indian tribal homeland… Other than that, no problem… 8-0 !! The continuing intermittent flooding of the Imperial Valley from the Colorado River led to the idea of the need for a dam on the Colorado River for flood control. Eventually, the federal government sponsored survey parties in 1922 that explored the Colorado River for a dam site, ultimately leading to the construction of Hoover Dam in Black Canyon, which was constructed beginning in 1929 and completed in 1935. The dam effectively put an end to the flooding episodes in the Imperial Valley. OK, look at the photo, we’ve got a nice batch of sand on each side of the green triangle. Nice, but not Grand Canyon Gigantic… Where did the Grand Canyon Go? “The northeast Pacific plate appears to be a flank of the East Pacific Rise modified by the westward boundary of the North American plate. Marine geophysical studies both in the Gulf of California and in the adjacent ocean strongly support the interpretation that the gulf originated in the spreading apart of the continental crust. It appears that the Gulf of California is part of the active boundary between the North American and Pacific plates”. Hydrothermal vents jetting water at 380 degrees plus or minus 30 degrees Celsius exist on the axis of the East Pacific rise. Indeed, “the axis of the East Pacific Rise is marked by a zone of recent volcanism approximately 1000 meters wide. Near the center of the volcanic zone, there is a very narrow band of active hydrothermal vents at least 25 vents along a strip 7 km long and only 200 to 300 meters wide”, according to one group of researchers. OK, so the East Pacific Rise where it runs up the Gulf of Mexico is your typical spreading zone with hot water jets and spreading and volcanism. But that’s not enough to hold The Grand Canyon. “The trough has “steep, step-faulted margins and a broad, relatively flat basement floor This trough is comparable in shape and size with the deeper submarine basins of the southern part of the Gulf of California, but it is partly filled [in the Imperial Valley] by the vast accumulation of sediments of the Colorado River Delta”. Elders, et al., believe that “the Salton trough formed by a combination of tensional and right-lateral strike-slip movements associated with the opening of the gulf as Baja California was transferred from the North American to the Pacific lithospheric plates The details of how Baja California was transformed from the American to the Pacific plate remain enigmatic”, they opined. SALTON SEA, Calif. – Three days after the earthquake and tsunami devastated northeastern Japan, Gary Fuis walked across the San Andreas Fault under a moonlit sky. The desert was quiet. A breeze fanned through the creosote. To the west, he could see the Salton Sea, and to the east, the headlamps of the night crew taking up positions. In a little more than an hour, they would start detonating their explosives, generating seismic waves that would be recorded by seismometers buried throughout these sandy hills and positioned on the floor of the Salton Sea. Fuis, 67, a geophysicist with the U.S. Geological Survey, is overseeing an ambitious project to create an underground image of one of the most seismically active and geologically complex regions of the country, a triangle of land extending from Palm Springs to the Mexican border. Penetrated by volcanoes and cut by the San Andreas and Imperial faults, the region is part of the Salton Trough, one of the few rift valleys in the world not covered by an ocean, a place where geologists can see the continent coming apart and a new crust of the Earth being formed. “The San Andreas Fault actually appears to be propeller shaped,” he said, drawing a pirouette in the air and describing how the fault tilts to the northeast in this basin, then tilts in the opposite direction father north, past the Mojave Desert. Many seismologists, he said, assume the fault in this region is largely vertical, a configuration that places the Pacific plate squarely up against the North American plate. Fuis and a few colleagues, however, believe that the Pacific plate here is wedged beneath the North American plate. But a greater threat, according to Fuis, is the sedimentary structure of the Salton Trough itself. Excavate this basin of rocks and soil swept down over the millennia from the Rocky Mountains and you’d have a canyon larger than the Grand Canyon. This formation, sediment nearly 9 miles deep, can trap earthquake energy and amplify seismic waves, resulting in longer, more intense shaking. No one has measured wave speeds in the basin until now. And there is your answer. The Grand Canyon is in another spreading zone trench. The one splitting off Baja California from Mexico. The one that would have the Gulf of California extending up past the Salton Sea. Were it not for a “Grand Canyon Sized” load of sediments over 9 miles deep. Is there evidence for volcanism near the Salton Sea? And is there any natural risk that the Imperial Valley might become a full fledged lake again, all on its own? There is evidence that the basin was occupied periodically by multiple lakes. Wave-cut shorelines at various elevations are still preserved on the hillsides of the east and west margins of the present lake, the Salton Sea, showing that the basin was occupied intermittently as recently as a few hundred years ago. The last of the Pleistocene lakes to occupy the basin was Lake Cahuilla, also periodically identified on older maps as Lake LeConte, and the Blake Sea, after American professor and geologist William Phipps Blake. The Tres Virgenes, a line of three connected volcanoes, collectively known by that name, are west of La Reforma Caldera. La Vírgen, in the southwest, El Azufre in the center, and El Viejo in the northeast. The volcanoes get larger and younger from northeast to southwest. As recently as 6,500 years ago, La Vírgen experienced a Plinian eruption — a huge, explosive event that produces an enormous column of volcanic rock fragments and gas that reaches into the stratosphere. The eruption produced a column that reached at least 18 kilometers into the air and deposited ash and rock fragments over 500 square kilometers. In later stages of the eruption, pyroclastic flows (pinkish rocks) and lahars (mudflows, grayish rocks) from El Azufre Volcano paved the plain to the north all the way to the Gulf of California. Cerro Prieto volcano is located at the northern end of the gulf of California, 177 km SE of San Diego, and 30 km from the US border. The volcano consists of a low lava dome. The volcano is located in a transition between the East Pacific Rise and the strike-slip San Andreas fault system. It is one of the few areas where on-land spreading is observed. The heat source for the volcano is thought to be a magma body at a depth of 5–6 km. There is a significant correlation between increases of sustained fluid extraction at the field and earthquakes, with delays of about 1 yr.
An earthquake swarm occurred under Cerro Prieto volcano in Mexico between 8-11 February 2008. The seismic swarm began on 8 February 2008 at 11:12 pm (Pacific Time) with a magnitude 5.1 earthquake. A second magnitude 5.1 earthquake occurred on 11 February 2008 at 10:29 am (Pacific Time) about 4 miles further south. Both events, were shallow, at a depth of less than 3 miles. Sixteen earthquakes greater than magnitude 3 were recorded over 2.5 days. The two magnitude 5 earthquakes were tectonic, consistent with activity on the Cerro Prieto fault. The last eruption at the volcano is unknown, but may be within the past 10,000 years. This entry was posted in Earth Sciences and tagged earthquakes, erosion, Geology, rifting, Rivers, volacanoes. Bookmark the permalink. 44 Responses to Where did the Grand Canyon go? Your source of ideas for posts is unending. Remarkable! At both sides of the same fault. Takes be back… great memories… driving an open jaw from San Diego to Portland… great days on the road through a spectacular country. As for the earthquakes, if I remember correctly, the worst part of the SF quake of 06 was in the areas that were built on silt and sand. That does not bode well for the valley for as you correctly point out, it is all that way. But like you said, you can’t worry about what is not. Life is too short. One thing, while Salton Sea is now filled due to an accident, it has regularly filled and evaporated over geological time as the Colorado would often break through its banks and drain into that area. It is estimated that a previous such filling had only just dried up when European explorers came to the area. Every several hundred years it would fill back up again. @ Malaga View Baikal is a rift zone? really? Oh, wait…let me Wiki that up. Yeah! That makes sense now! I remember that Lake Baikal is home to a unique freshwater seal and a bunch of other odd species. (Quotes from Wiki) It “is the world’s oldest and deepest lake at 30 million years old.” “Baikal is home to more than 1,700 species of plants and animals, two thirds of which can be found nowhere else in the world” Yes, it must have been an arm of the ocean some 30MYA, and has a bunch of unique species that made the salt water to fresh evolution. “The bottom of the lake is 1,186.5 metres (3,893 ft) below sea level, but below this lies some 7 km (4.3 mi) of sediment, placing the rift floor some 8–11 kilometres (5.0–6.8 mi) below the surface: the deepest continental rift on Earth.” Hmmmm… that sounds like what E.M. was talking about with the Colorado debris. And lastly “Lake Baikal is furthermore the only confined fresh water lake in which direct and indirect evidence of gas hydrates exists.” OK…sounds like abiotic methane production seeping up from a deep rift. I somehow had never seen that Baikal was a rift zone. All that info clicks into place now. Thanks! My apologies for sloughing this off topic…what makes a seal fresh water vice salt water? I mean it is a mammal and I would think be OK in what ever kind of water just like us. Seems like a good place to get some sediment cores and look at the past climate…beats downstream of some bridge. Who would have thought to ask “where did the Grand Canyon go”? Amazing. It seems obvious, once asked, because I have heard all my life how the Colorado eroded the canyon. It always seemed obvious to me that a portion of the Rockies and the Applachians are filling up the Gulf of Mexico, but I never thought about the Colorado. I believe the sediments in Lake Lahontan are about 5000 feet thick in the Black Rock Desert. There is significant local geothermal activity. The Soldier Medow tuff just a little North of there was one of earliest or possibly the earliest manifestation of the Yellowstone hotspot. You can still see many tufa along route 447 from hot springs erupting in the lake. Many of these hot springs could reactivate if the ground were to re-saturate with water. That location is currently very dry. Seals also have “interesting eyes” in that they work both above and below salt water. Don’t know if that makes them work better in fresh water too, or if they would need some subtile changes… but the fresh water index of refraction will be different. So I’d expect to see changes. Just not dramaticaly visible ones. Or would we recognize this “stuck bit” that is most of middle / southern California that WAS part of the N.A. plate, but is getting scrapped off onto the Pacific Plate to the West of that subducted spreading zone? We are ‘in transition’ as a surface lump of slag/scum from one lower level basalt layer ‘plate’ to another. IMHO, we need to think in terms of a two layer plate system. The “light stuff” floating on top (like granite mountains) and the “heavy stuff” doing the convecting and making the spreading zones. The “scum” is not tied to any particular heavy stuff plate, but like all froth can get shoved over bounaries between one moving conveyor and another. There are no ‘hard edges’ between ‘plates’ at the surface. Only at the spreading / subducting lines of the lower plates. Geology is fascinating. Living in Washington State I’ve spent quite a bit of time in Eastern WA and become exposed to the remains of the Missoula Floods through the Channeled Scablands. Considering that these floods (scientists think they occurred multiple times) would drain a volume of water close to half of Lake Michigan in a matter of days, immense amounts of soil and rock were stripped away and washed into the Willamette Valley and out the mouth of the Columbia River. I have read some estimates that sea level during this time was up to 100m lower than it was now and sure enough within that region there is a canyon that points straight to the Columbia. Would have been quite a sight to see all of that water and muck shoot out of the river mouth. The estimated volumes and natural forces are difficult to imagine. When you stand at the top of a hill and look down on Grand Coulee dam and realize that a 300′ wall of water once came through there, you begin to appreciate the scale. Dry Falls is another great place to view the remnants of the events. PS While doing some research on this post I found that if you consider historical evidence, Sea Levels are actually quite low and have been up to 400m higher (according to one study) than they are currently, so someday perhaps the Salton Sea will join the Pacific once again. PPS why is there what looks to be a river canon below 1500′ of water off the Coast of California??? 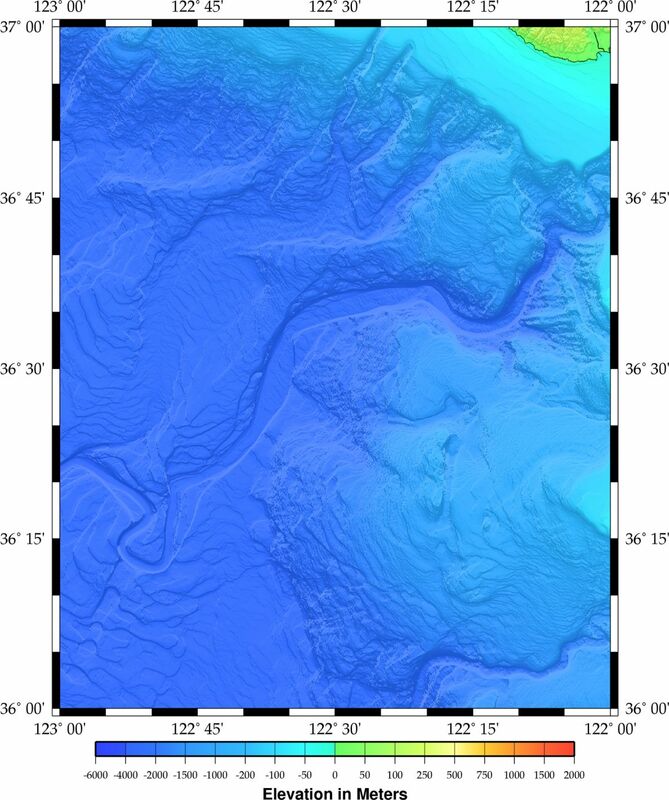 Are undersea currents able to carve features like that, or perhaps the result of some type of mass wasting? Actually it looks like most of the Pacific Coast was a giant waterfall at one time if you look at it from Google Earth. Asteroid caused mega-tsunami perhaps? So, what did that link mean? Was it saying that there is a higher frequency of reversals than typically reported as there is some kind of shallower high frequency flutter? I’m pondering a posting on the Salton Sea itself… There’s a company that wants to make a little canal to bring in some more water to run the re-injection for the geothermal and freshen the lake. Mexicali is about 50 feet below sea level (on the Mexican side of the border) and at some point about half way from it to the Gulf you get all the way up to 30 foot ASL then drop back down to zero at the shore. Easy “lift” of 30 feet, then about 250 foot of “downhill” so they intend to make some hydro power out of this too. Remember Sunset crater is not very far from the Grand Canyon and near Flagstaff there are others. And the crater in Death Valley is not that old, it’s within the Holocene, and surrounding craters are even younger. It’s definitely a rift valley, sleeping at the moment. Its the same for Victoria in Australia, one of the largest rift zones which is sleeping at the moment, the last eruption was around 6000 years ago as well. erupting at approx 25,000 year intervals. There are thoughts that the hot spot may have moved into the bass strait between Victoria and Tasmania. It’s interesting that a lot of these eruptions also happened around 6000 years ago, and that was the last great warming, soon after that we went into a cooling phase. San Francisco peak is near Grand Canyon. Re: sea levels, yes, they have been much higher in the past. Before about 12-14 million years ago there was no ice at either pole. Things began to ice up at the South pole 12-14 million years ago but the North pole stayed ice-free until about 2 or 3 million years ago. The interesting thing has been how the arctic behaves when sea levels begin to drop. Once you expose the floor of the Bearing Strait, the Arctic Ocean changes dramatically. I think it takes only about a 30 meter drop to expose that land bridge and cut off the flow of warmer Pacific water into the Arctic. At that point the sea levels can drop pretty quickly. And as it drops, more floating ice in the Arctic becomes land-fast. Actually there is a lot of fairly recent volcanic activity not far from the course of the Colorado. The area around Panguitch Lake in Utah erupted around AD 900, I think it is estimated. There are a lot of cinder cones around Washington and Iron counties, too. The one in Veyo is probably the most obvious but there are others, too. One time many years ago, some pranksters hauled a tire up to the top of the Veyo cone and set it alight in the early morning hours. Here’s a picture of the Veyo cone, just off state route 18 Northwest of St. George. This and the surrounding volcanoes have been active during the Holocene. Interesting how interests develop and a curious mind is the basis for new found knowledge, read progress and… skepticism. As a flatlander being born near the Dutch coast I always have been attracted to mountains. At a very young age, during a holiday in Germany somewhere near Koblenz my dad took a an unpaved side road with his Volkswagen Beetle (everybody had a Volkswagen Beetle in those days) which ended in an open lime stone pit. Because it was holiday season the pit was unattended and it didn’t take much for us to do a close inspection of the area. That’s where I found my first fossils, trilobites. Lime stone and basalt was transported to the Dutch coast and canals in huge quantities where it is used to protect the dikes and the channels against the waves from the sea and the passing ships. Sometimes we went fishing at one of the side arm of the North Sea Channel that connects IJmuiden with Amsterdam and when most of my friends were focused on catching a fish, I spend my time scavenging through the blocks of lime stone looking for more fossils and I found many. 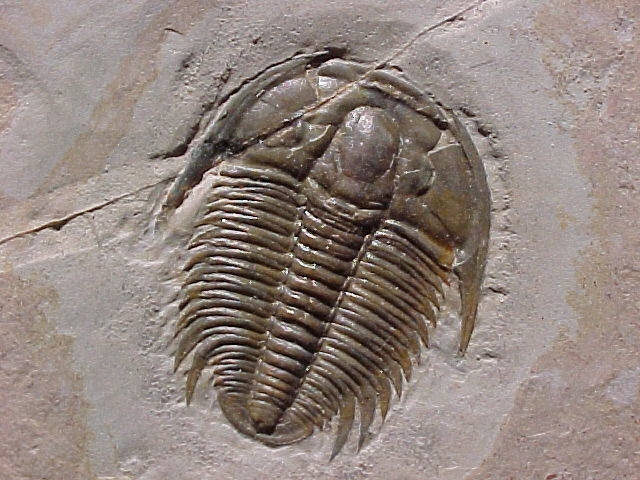 Not the trilobites from the pit near Koblenz but beautiful fish, worms and shrimp type of animals. Eager to get some expertise I took my bike and went to the Teyler’s Museum near my home town with parts of my fossil collection carefully packed in a box. But at the entrance of the museum, the guard wouldn’t let me in. I think I was nine years old at that time and I went there ‘without parental super vision’, so the Museum in fact was a no go zone for me. When I told the guard I had found some fossils and wanted to find out more about them he let me in and told me to wait. I was introduced to a very old person (in the eyes of a nine year old) in an impressive white coat and distracted by his huge thick glasses I forgot his name the moment he introduced himself. I must have made him crazy with all my questions. He couldn’t tell me much about the fish I brought but he told me a lot about the trilobites and the fact they first showed up in the geological record 526 million years ago and that it was a guide fossil. The first part of that statement alone was a great surprise to me because at my school my teacher just had told me that the planet was not older than 5.500 years. Anyhow, if you ever get to Amsterdam or have some hours to kill at Schiphol Airport, you must visit this museum. Just grab a cab and go there. It’s one of those rare places where they create skeptics. I’m still grateful for that experience. Think bigger! Move to Egypt! The Qattara Depression in the Sahara of northern Egypt has been the object of such ideas. Imagine a depression with a max depth of 134 meters below sea level on 65 kilometers from the Mediteranean. Surface area of the potential lake (if raised to sea level) of 20,000 km2. Accessible by canal with perhaps one stretch of a couple kilometers needing a tunnel. Projected power generation of 1000 megawatts, 35 years to fill it up. Enough water to change the local climate. There are deep channels and canyons beneath the sea on many continental shelves. They are typically eroded by submarine debris flows. These are probably more frequent during glacial periods than they are now. In other words when the sea is up to 120 m lower and the coastline is miles further seaward than it is now. The shallow marine sediments are more easily destabilised at such times. Also the rivers run further out onto the continental shelves carrying sand and gravel. So continental shelves contain more coarse sediment than you would ordinarily expect, and this sediment is abraisive when it turns into a debris flow. At minimum depth the coasts went roughly all the way to the continental shelf. The coasts would have been extensive marshes. The Uinkaret volcanic field (1.2 million years ago to 12,500 years ago) at the north rim of the Grand Canyon in the Grand Canyon National Park is especially noteworthy. The most recent eruption, which began about 1065, A.D., produced the Sunset Crater Cinder Cone, three lava flows, and an extensive air-fall tephra sheet. Yeah Grand Canyon Lava flows are not near the visitor centres or overlooks, so everyone forgets about them. Interesting, there was a large eruption in one section anyway in 2006-7, maybe it needs to be compared to the El Nino-La Nina charts? Would all this movement of different density magma affect the grace satellite measurements? the author is the justly famous Robert A. Heinlein. The collection is The Menace from Earth. The original date of the story is 1947. The story (last one in the book) is “Water Is for Washing”. Some of the best thrillers come from Science fiction writers when they aren’t doing science fiction…! which I make as 9089 BC. On my spread sheet, that is “two cycles late” from 9436 BC (at 9078 BC actual calculated) and with 9257 BC in between). I compute a BE at 588 ( thought the nominal onset per “news” of the day I usually count as the 535 AD dark days…) so from 588 AD we get 767 AD then 946 AD and 1125 AD. So you are 60 years short of the “3 count” and 129 late from the 3 count. FWIW, I set the “start of BE-0” arbitrarily at 2020 and then used the arbitrary 179 year counter to count backwards to the other target dates. And I figured the oldest 1/3 was a bit dodgier on dates, so match the middle of the last 2/3. The 4.2 KYevent is about 2200 BC and I get a BE marker at 2276 BC. Close enough for the available error bars on known events. 1) The “way back dates” look to have “Jose Cycle Creep” from a couple of years error each. @ Smith Did CO2 rise 800 years later after each warming period? Does it also cause changes in the liquid core of the earth and regulate volcanic periods as well? I mean Io is active due to large orbital resonance factors with Jupiter, maybe the moon plays a small part in this activities, maybe these rifting events all get active in certain periods? Does the cloud that was not supposed to exist effect the bond cycle? Following on the dramatic confirmation by the Myanmar Thailand M6.8 Earthquake 24th March of Piers Corbyn’s (WeatherAction) Long Range warning of HIGH RISK of a major Earthquake 23-27 March WeatherAction is producing further trial forecasts of Severe Earthquake risk. “The 6-9th April is our first major (Trial) Earthquake risk period of April and comes with related extreme weather events forecasts. In these trial periods we expect an increase in the serious M6.0 and above quakes in quake vulnerable locations (and related increases in lower level activity) around the world such as the Pacific ‘ring of fire’. This includes the WEST USA which in this time period is probably more vulnerable than for decades. This paper examines the prospect of a 9/56 year cycle in the timing of major earthquakes in California – Nevada – Baja California. The 9/56 year seismic cycle was hypothesised to arise from tidal triggering by the Moon and Sun. Most sigfinicant are ecliptical positions of the Sun, lunar ascending node and apogee.